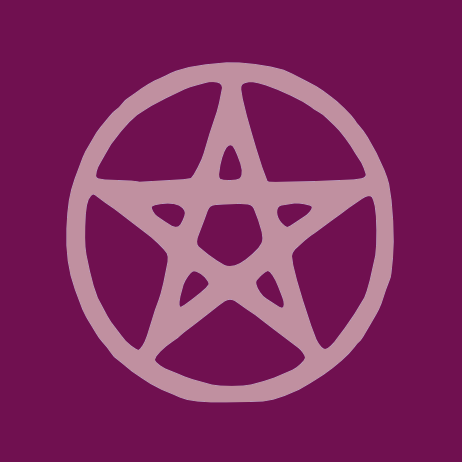 Wicca is another name for the presently surviving Pagan religious cult, also sometimes referred to as the neo-pagan religion. It has been brought to public awareness in recent times by a retired British civil servant called Gerald Gardner. The last fifty years or so has seen an increased following for this religion due to its equal treatment of both genders and its natural appeal. Wiccans worship “the sacred as immanent in nature, drawing much of its inspiration from the non-Christian and pre-Christian religions of Europe”. Hence, Wicca’s origins precede the birth of Judeo-Christian religions of the present day. To this extent, rituals and symbols play an important role in the Wiccan experience. Though some Wiccans concentrate on certain specific gods from specific mythologies, worshipping many deities is an acceptable way of life. Nevertheless, most followers in the present day tend to worship “the Great Goddess and Her consort, The Horned God”. (Cookson, 1997) In some strands of the religion this kind of Goddess worship is essential, while in others such is not the case. When it comes to rituals and rites, the Wiccan religion is quite unique in the contemporary world, the traditions of which can be traced well into ancient history. For example, the ritual knife and chalice of time immemorial are still part of everyday worship. Other objects used in worship include “bells, brooms, candles, cauldrons, cords, drums, incense, jewelry, special plates, pentacles, scourges, statues, swords, staves and wands”. The significance of these objects and their use usually differs between different sub-sects. Wiccan rituals will also include some type of “creation of sacred space (casting a circle), invocation of divine power, sharing of dance/song/food or wine, and a thankful farewell and ceremonial closing”. Other auspicious occasions are reserved for important life-events like birth of a child, coming of age, marriage, and housewarming ceremonies, passing away of a member, etc (Cookson, 1997). Wiccan rites and rituals thus hold practical as well as symbolic significance. The religious site of worship chosen for compiling this report is The Holy City Temple of Chicago, Illinois. The Holy City Temple is headed by Reverend Don Lewis and Reverend Traci Logan-Wood. The highlight of the temple’s altar is the image of Gaia – the Patron Goddess of the Temple. On either side of this image are the portraits of Isis and Hathor – other significant deities in the Wiccan tradition. Alongside these small images of gods is placed a ritual mirror. To make it easy for people new to this religious faith, a self-explanatory drawing the Ride the Dragon ritual is shown depicting the “World Soul caught between the forces of the Age of Pisces and the dawning Age of Aquarius”. (Cameron, 2005) This ritual was conceived as an aid to channel cosmic energies for human benefit. The ritual placing of the mirror is a symbolic act depicting this transfer of cosmic energy. Lady Traci is an important figure in the history of the temple, without whose dedication and perseverance the temple would not have survived let alone stand out as a centre for alternative theology. In honor of her contribution for the survival of the religious order, she had been added to the Correllian Council of Elders a few years back. Quite appropriately, a brief history of the important events leading up to this significant decision have been charted in one of the walls of the temple (Hume, 1998).